An unmanned aircraft, also known as a drone, is an aircraft without a pilot on board. The devices are controlled remotely. The (further) development of drones is a huge growth market, the same goes for the maintenance of these aircraft systems. 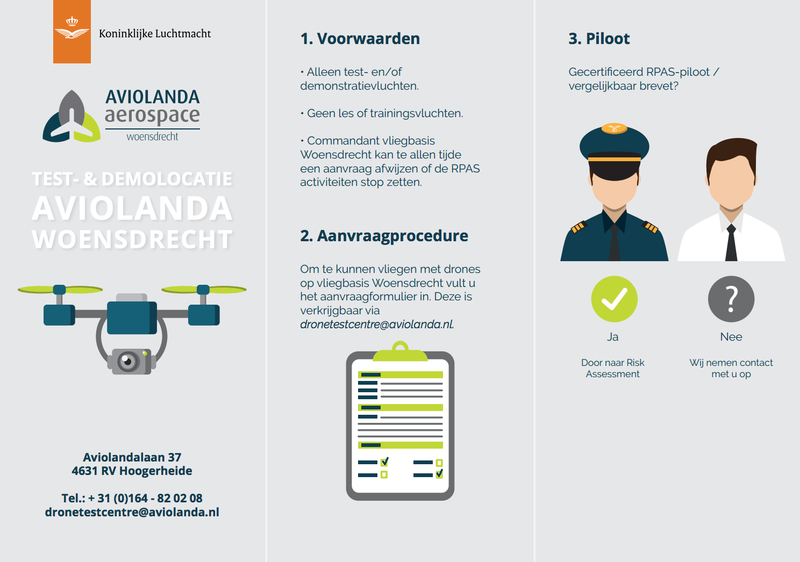 At Aviolanda we are working hard on clustering companies that are all dealing in the unmanned aircraft industry. The regional development company REWIN West-Brabant brings together companies and knowledge institutions to work on business development around drones. More about this in the 3i movie. Although the North Sea and the Channel seem far away from West-Brabant, the region does have access to deep-sea water like the port of Moerdijk. These waters are busy with ships that potentially hold dangerous cargoes. In addition, there is a lot of activity in the chemical industry in West Brabant and the neighbouring provinces. Consequences of disasters do not draw at the borders. It is therefore necessary to work well with the neighbouring regions and to be properly equipped with the correct material. 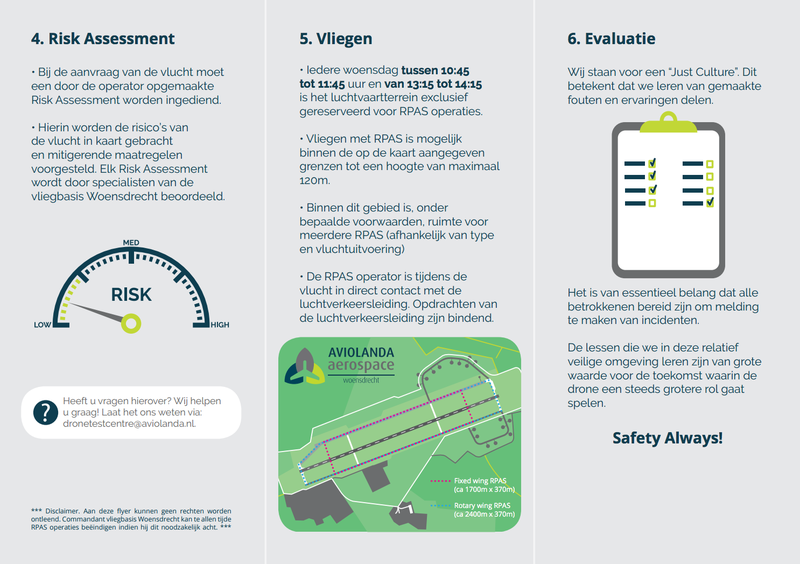 The unmanned aviation knowledge centre that has been set up in Woensdrecht, provide necessary support by deploying unmanned escape vessels for safety. Examples are knowledge transfers from previous projects, but also the provision of a test environment where, in conditioned circumstances, new technologies can be tested.